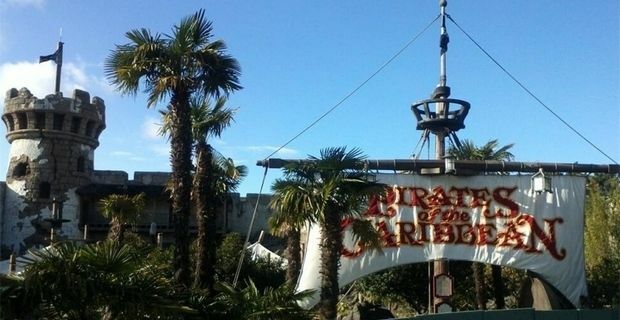 The troubled Disneyland Paris theme park was in the news again after a five year-old was seriously injured on the Pirates Of The Caribbean ride. The child from Montpellier was reported to be in a critical condition in a Paris hospital after being crushed between a platform and a boat. The accident occurred when the boy fell from the boat he was riding on and became trapped by the boat behind. His father managed to free the boy but his injuries were life-threatening. A Disneyland spokesman told press agencies: "The incident took place in late afternoon. Our first aid services quickly intervened to provide first aid. The attraction is temporarily closed and we stand with the family." The flume-based ride was based on the original version in the California Disneyland, which was the inspiration for the Johnny Depp movies. The accident is the latest in a series of serious mishaps that have occurred at the Paris park. In 2010 a cleaner died after being trapped under a boat when an attraction was accidentally switched on. In the same year a 12 year-old boy was paralysed on the Tower Of Terror. The following year five people were injured by fake rocks on the Big Thunder Mountain rollercoaster. In 2012, four people were injured on the Disney Railroad. It’s apparent that the scares on offer at the park are becoming a little too real. The park is in serious financial difficulties. In 2012 it was revealed that Disneyland Paris has a debt of £1.6 billion, which would take 12 years to pay off at the most optimistic estimate of park receipts. In September 2013 a petition claimed that the park was falling apart, with allegations of poor food, broken rides and cancelled entertainments. Disney did not comment at the time, but the latest serious accident will damage the park’s reputation even further. Looking for Disneyland Paris packages including flights?